This week most of the time went to practice for the hairspring exam. We did have some time for other things as well; we had some very nice visitors all the way from the United States, Dean and Jacob who recently also took Henrik's restoration class a few month back in AWCI Harrison, Ohio.With them they also had a Swiss friend, Kilian who works here in Switzerland as a watchmaker. Also Vincent working as a teacher in HSNY http://hs-ny.org/ stopped by to see Henrik and meet the students, very nice visit as well! 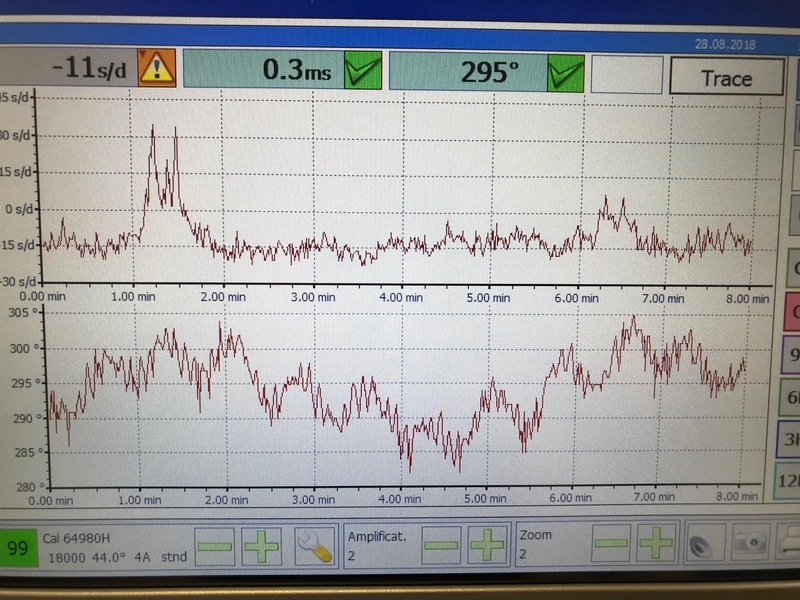 We also had a very interesting case of a movement stopping after only running for a few hours, so we got to learn a way to troubleshoot and find where the problem may be, all in all we had a very interesting week! This bent barrel tooth with a crack at the root was found to be the culprit. It can be clearly seen that it is leaning closer to the left neighboring tooth that the right one. Kilian to the left, Dean in the center and Jacob on the right. Students and watchmakers sharing ideas, how it should be! Sharing contact details for maybe future collaborations. 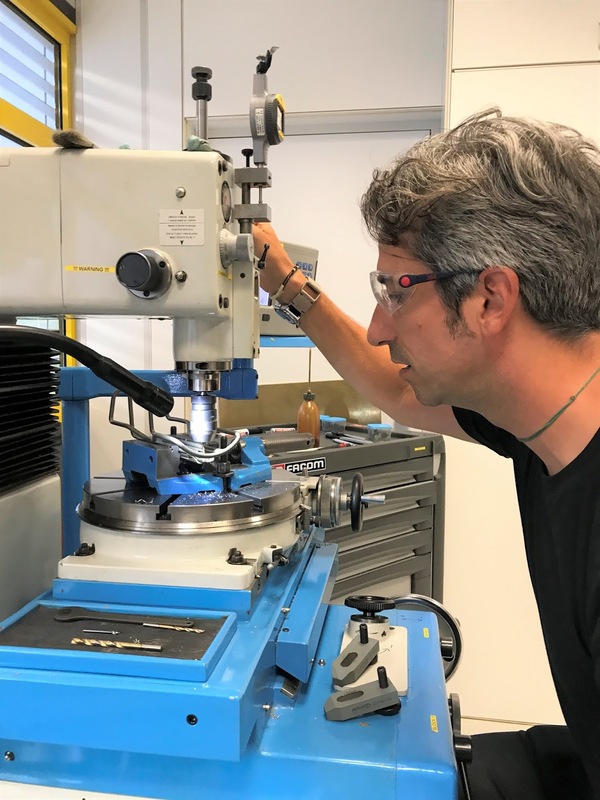 Vincent came by for a visit and had also time to do a quick modification job on the jig boring machine. This was another problem we had; suddenly the movement gained massively without it being knocking as sometimes happens when the escapement receives too much energy delivered from the mainspring and barrel through the gear train. No knocking! 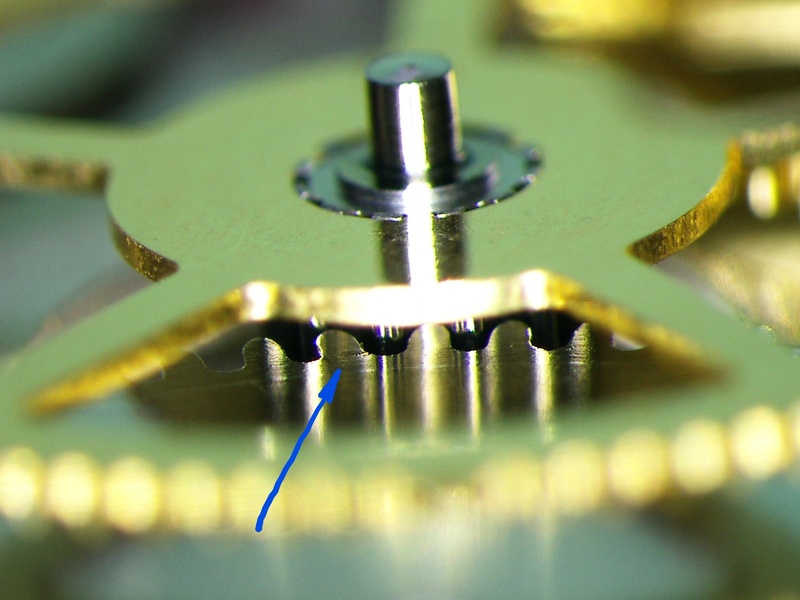 it took some time to actually find out what caused it but in the end it was clear; the hairspring body was ever so slightly bouncing on the stud in certain positions when the amplitude got high, it was an easy fix by correcting the centering of the hairspring, but hard to find.